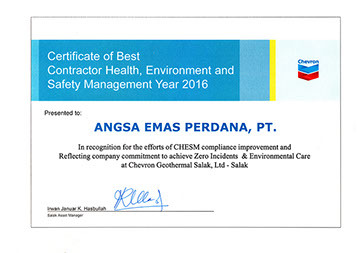 Angsa Emas Perdana industrial catering and facility management service enables our client to concentrate their resources on core business. Serve clients from in town to remote areas, we are focus to deliver high quality product with excellence services to support our client vision and mission. Transformation of product quality and service delivered will become our main goals in the next year to come. We are aware that client’s expectation are likely to increase for the recent years while facing challenging global economic conditions. We continuously challenge ourselves to bring memorable service experience through authentic food taste, attractive presentation and excellence service on every level of interaction, start from on site service to corporate correspondence. We will continue to contribute the need of our client on industrial catering and facility management service, with positive energy and attitude to achieve sustainable positive result for our clients, people and shareholder. To be a reputable Industrial Catering and Facilities Management Company in Indonesia. Focus to deliver a quality of product with excellence services to achieve high level of satisfaction from our customer. 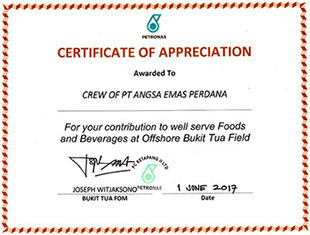 PT Angsa Emas Perdana is one of Industrial Catering Services Company that delivers food and beverage to specific industries, from in town to remote areas. PT Angsa Emas Perdana founded by our team in 2008, consisting of people with 25 years experiences in food, hospitality and catering industry. Angsa Emas Perdana provide high quality authentic food to remote areas and serve with excellent service. We ensure that we met client's Health, Safety & Environment (HSE) standard in our daily operation, while serving high quality food with standard hygiene & nutrition to our clients. Angsa Emas Perdana also provides catering services in the canteen area at town sites and manufacturing facilities. We always ensure all of our authentic food serve in high quality hygiene and accurate calories, in order to keep client's worker content and healthy. Angsa Emas Perdana serve healthy and standard diet food for some of biggest names in healthcare industry. All food & beverages are prepared in accordance to dietary recommendations, serve with hospitality and excellence service. PT. 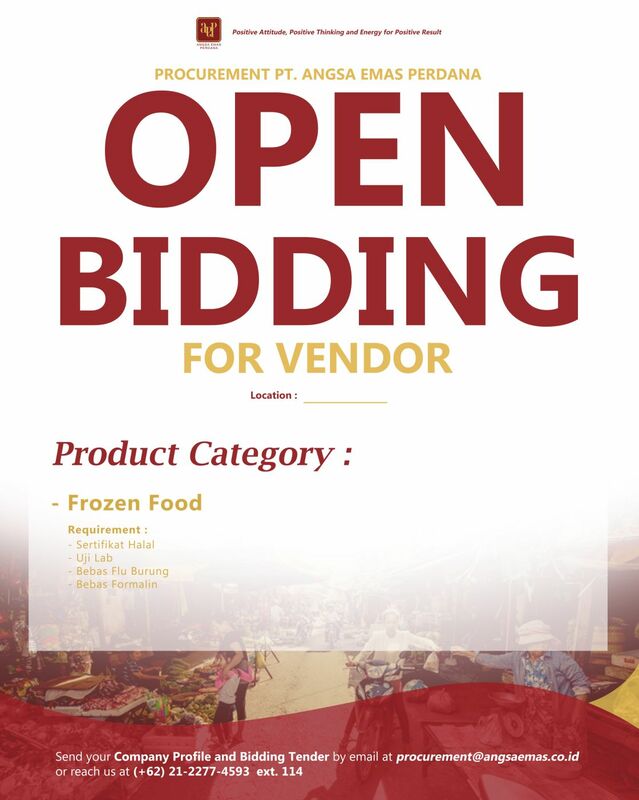 Angsa Emas Perdana membuka kesempatan menjadi pemasok untuk barang dengan kategori Frozen Food. Please fill all required fields Thank you for submitting. We'll get back to you soon!